I just popped in to show you all my snow! 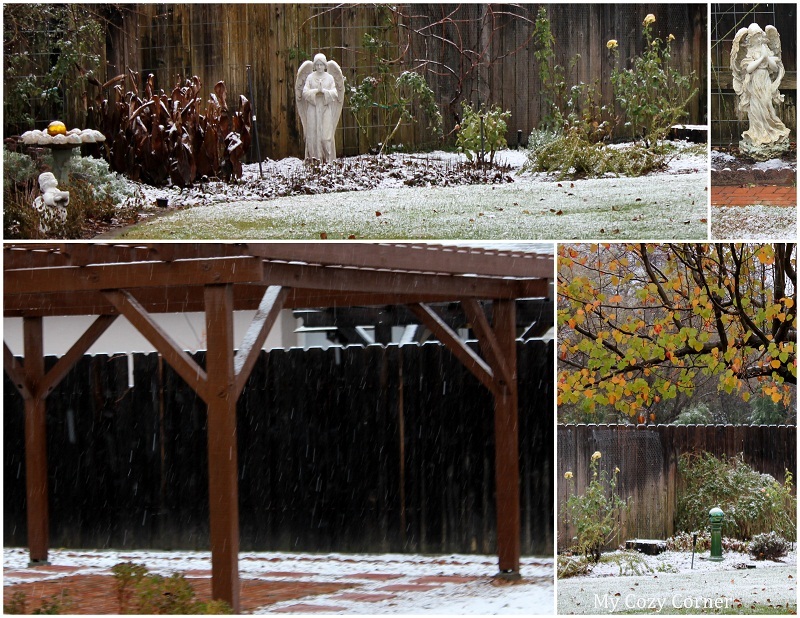 We had snow this morning and maybe some will fall tonight. Aww! Yay for a white Christmas!! I would just love that! Enjoy!